Net Force Created by Tom Clancy and Steve Pieczenik is back with a new cyberterrorism challenge which challenges the world's money supply. The year is 2018, but some things haven't changed: personal liberties are eroding across the world, countries are taking up arms against their neighbors, and the United States remains the leader of the Free World. Prince Sami Mustafa of Birhan is not a bad man. Educated in the West, he maintains close ties with the US. But Birhan's economic and political instability threaten his rule, and he fears he will soon be deposed like other rulers throughout his region. If the US sides with the rebels, he has no hope of surviving. Unknown to Mustafa, there are sinister forces at work within his own government that will soon compel America to align against him. When a nerve gas attack massacres his ethnic opposition, the prince is horrified but ultimately held accountable. The US immediately threatens sanctions and military action. The man secretly responsible for launching for the gas attack--a traitorous official within Mustafa's government--has other plans. He does the unthinkable and hires the services of master hacker Drajan Petrovik, one of a new crop of cyber-criminals known as technology vampires. Petrovik is a genius and a man without fear. Petrovik knows that America can't be defeated--but it can be distracted. And he's got the plan and the tools to do it. He'll start by bringing this conflict home to US soil. If everything goes right, he'll end up not only buying time for the country of Birhan, but getting obscenely rich, too. The only people standing between Petrovik and his destructive goals are a select group forming the nucleus of Net Force. Though still untested, the newly assembled Net Force team must simultaneously engage the cyber-terrorists abroad and fend off a crippling attack in America's largest city. Failure will mean global catastrophe. Success may lead Net Force to the highest level of the United States government. 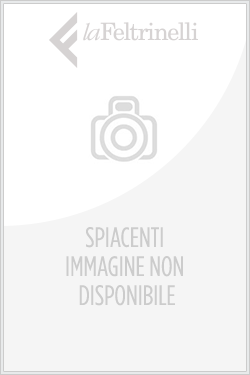 Acquista Net Force: Code War in Epub: dopo aver letto l’ebook Net Force: Code War di Jerome Preisler ti invitiamo a lasciarci una Recensione qui sotto: sarà utile agli utenti che non abbiano ancora letto questo libro e che vogliano avere delle opinioni altrui. L’opinione su di un libro è molto soggettiva e per questo leggere eventuali recensioni negative non ci dovrà frenare dall’acquisto, anzi dovrà spingerci ad acquistare il libro in fretta per poter dire la nostra ed eventualmente smentire quanto commentato da altri, contribuendo ad arricchire più possibile i commenti e dare sempre più spunti di confronto al pubblico online.